Which Categories and Tags Should I Use? 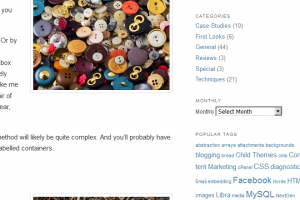 For people who are new to blogging, the concepts of Categories and Tags can be confusing. The first challenge is understanding what they are and how they differ. 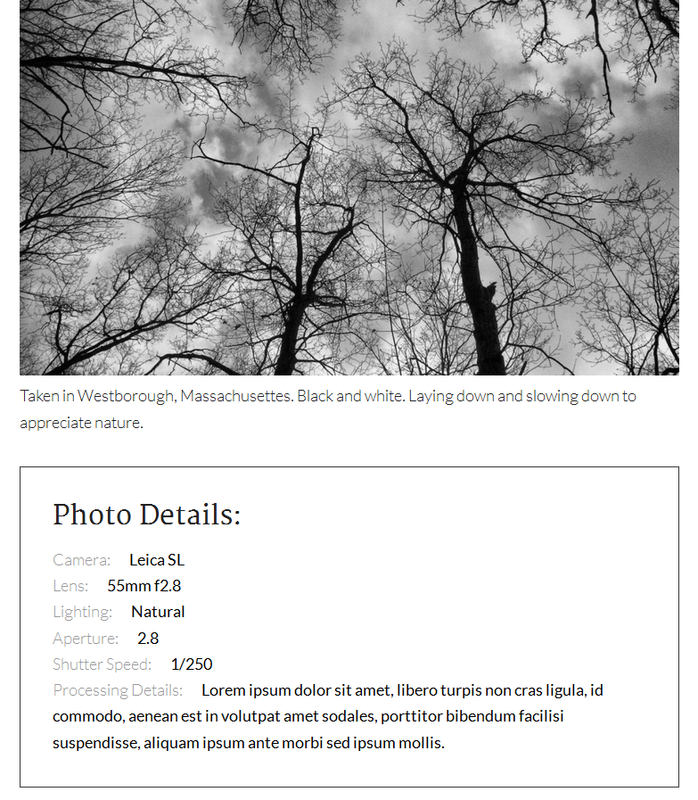 (Almost seven year ago, I wrote about the basics of Categories and Tags. You might find it useful as background for this article.) The next challenge is using them effectively. The purpose of this article is to offer guidance in addressing that second challenge. Suppose you have a big jar of American coins you need to sort. How would you go about that chore? 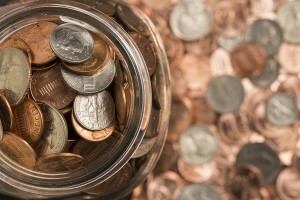 I’ll bet you’d dump them out on a table and immediately start putting them into piles of pennies, nickels, dimes, quarters, half-dollars, and silver dollars (and, if it were 30 years ago, subway tokens).Some of you won’t have any idea what those are. No need to survey the dump pile to figure out what you’ve got. No thought process is required. Now suppose you have a big shoebox of buttons you need to sort. How would you go about that chore? Your initial thought might be to sort them by color. Or by size. Or by material. Or by style. The fact is that depending on the universe of buttons in your shoebox and how you intend to use those buttons, you’ll likely choose different sorting methods. If you’re a guy like me who occasionally needs to sew a button onto a pair of work pants that no one is ever going to see you wear, you might just sort them by size — or not at all. But if you’re a tailor or seamstress, your sorting method will likely be quite complex. And you’ll probably have lots of different piles. Neatly arranged in properly labelled containers. 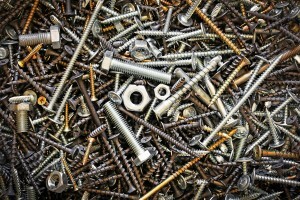 Now suppose you have a big coffee can of screws and bolts that you need to sort. How would you go about that chore? Again, as with the buttons, your sorting method will probably depend on how many of which types of screws and bolts you have and how you intend to use them. If you’re not very handy and/or rarely build or fix anything around the house, you should probably just leave the screws and bolts in the coffee can — or sell it and its contents for a buck at your next garage sale. The point is that for many (most?) people who are starting out blogging, assigning Categories and Tags to blog articles is a lot more like sorting buttons and screws and bolts than it is like sorting coins. If you’re somewhat handy and sometimes build or fix things around the house, you might at least separate the screws and boltsI know… I know… Some fasteners that look like bolts might actually be machine screws. and then sort them generally by size. But if, say, you’re a woodworker or avid DIY weekend warrior, your sorting approach will probably be considerably more sophisticated. You’ll likely want to have separate piles for wood screws, machine screws, sheet metal screws, carriage bolts, lag bolts, and so on. You might want to further sort by head style (flat, round, oval, pan, truss, hex, etc.). You might even want to further separate your collection by drive type (phillips, slotted, allen, square, star, etc.). Let’s not forget length and diameter. And then there’s imperial vs. metric and Thread Count (TPI, or Treads Per Inch, for imperial) and Thread Pitch (the distance between threads, measured in millimeters, for metric). What’s The Point, and What Does This Have to Do with Categories And Tags? The point is that for many (most?) people who are starting out blogging, assigning Categories and Tags to blog articles is a lot more like sorting buttons and screws and bolts than it is like sorting coins. Unless you have a very structured and well thought-out plan for your blog (not the rule, in my experience), you don’t have enough information to make informed decisions about Categories and Tags until you’ve published a good number of blog articles. In other words, until you’ve published a good number of blog articles, you shouldn’t even be worrying about how to assign Categories and Tags to them. 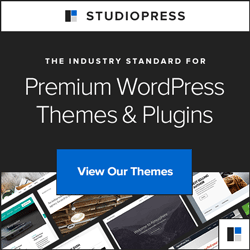 If you’re using WordPress, just change the built-in default Category Uncategoried to something human, like General or Miscellaneous, and blog away, using that default Category. 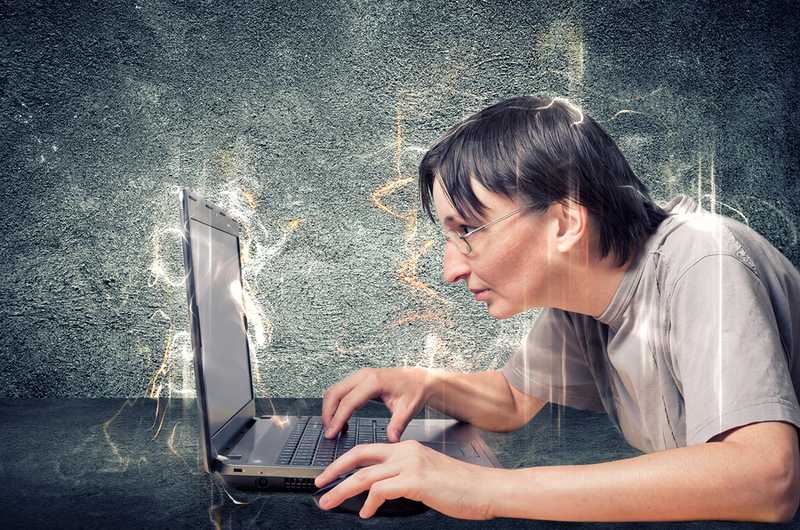 Once you’ve published a good number of blog articles, you can “lay them out” in front of yourself (as if you were dumping that shoebox of buttons or coffee can of screws and bolts). At this point you’ll be in a much better position to decide on a reasonable and useful organizational scheme. Most likely, organizational patterns will reveal themselves. Unlike coins and buttons and screws and bolts, the primary user of your Categories and Tags is your reader, not you. When properly displayed on your Web site, the hyperlinks for your Category and Tag archives allow your readers to find blog articles of interest to them. 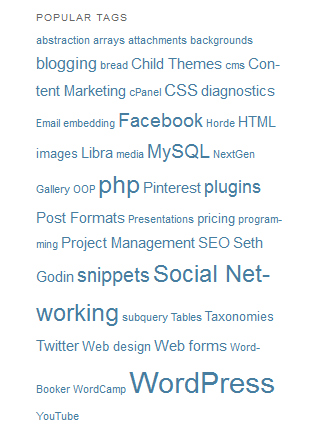 That’s all Categories and Tags are: topics of potential interest to your readers.